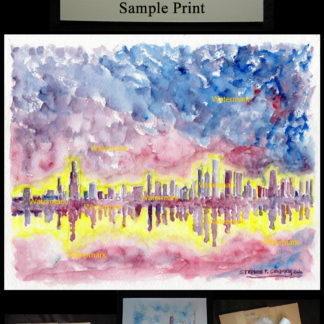 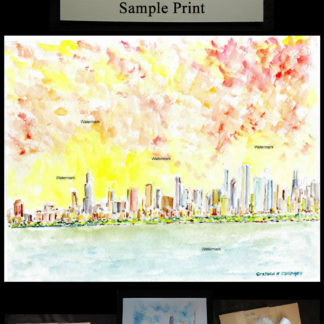 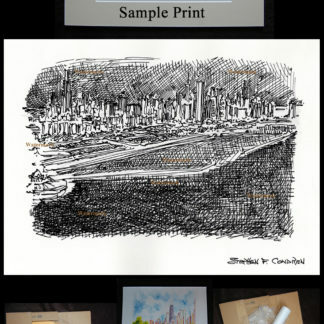 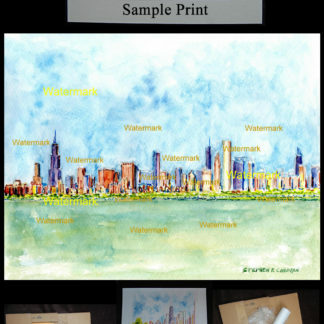 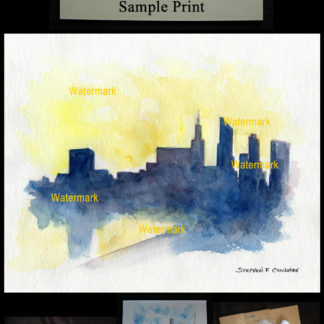 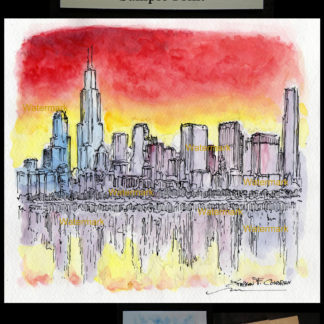 Chicago skyline #126X art and prints • Condren Galleries Ltd. 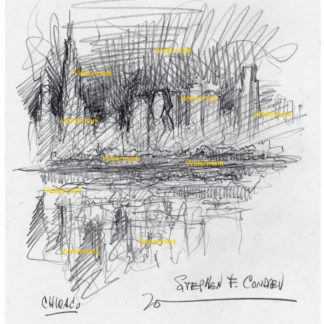 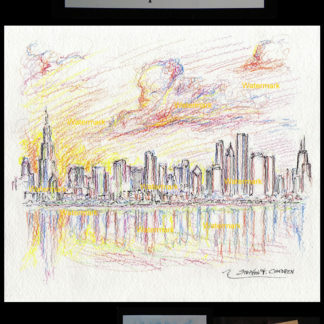 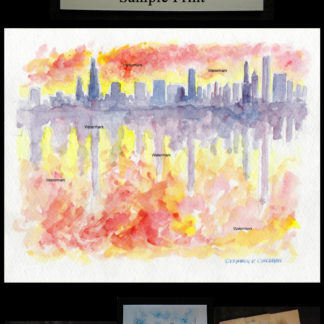 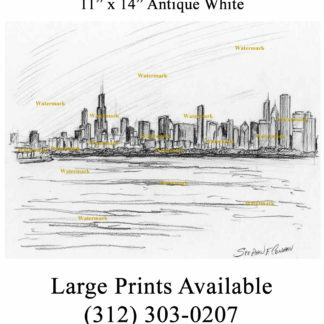 This is about Chicago skyline #126X Artby artist Stephen F. Condren, BFA-SAIC, at Condren Galleries, a Fine Arts Gallery, offering prints and JPEG & PDF scans. 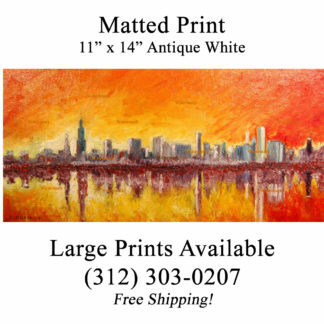 Many of the tallest buildings in the world can be found in this cityscape. 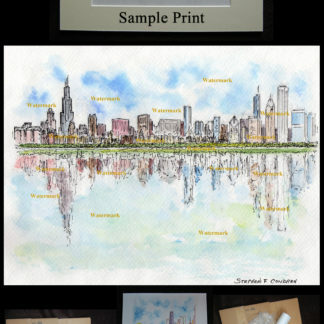 The architecture in Chicago is outstanding having some of the most famous buildings in the world at it’s center. 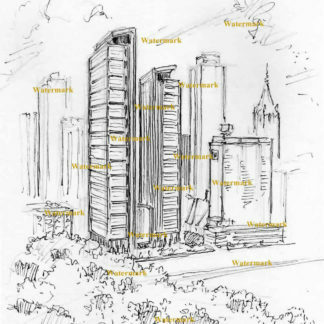 Many of the greatest architects in history have designed these buildings. 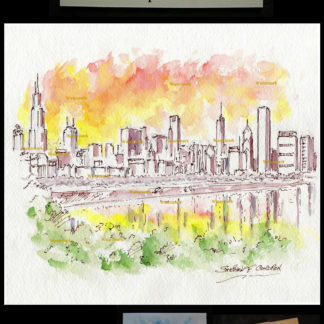 The parks along the shore of Lake Michigan have give Chicago the title of “City of parks”. 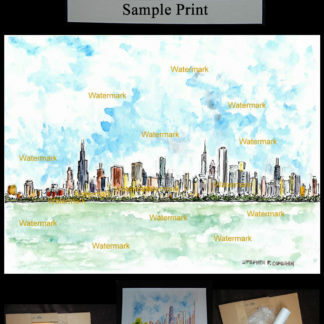 It is no wonder as the entire coastline of Chicago is a park! 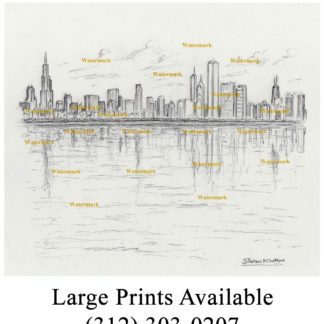 Staring from the South Shore Cultural Center at 71st & Exchange all the way north to Hollywood is one series of parks after another.